iConnect is the award winning online learning journal software for practitioners. It is used by thousands of nurseries across the UK, with over 1,300,000 (1.3 Million) observations logged each month. Read on to learn how iConnect can benefit you. Why Choose iConnect's Online Learning Journals? Many childcare practitioners struggle under the increasing pressure to complete mountains of paperwork to satisfy Ofsted, but it doesn’t have to be such a laborious process. 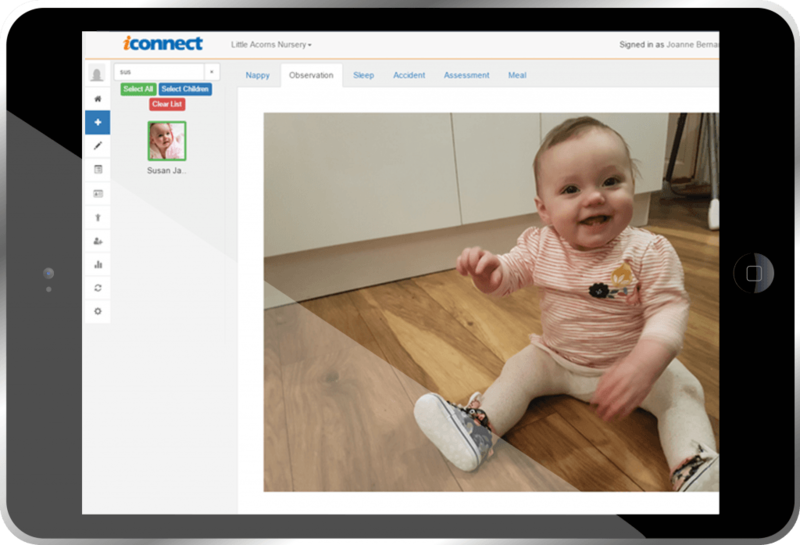 The introduction of iConnect in a setting can save hours of administration time, creating online learning journals at the touch of a button and allowing practitioners to focus on their passion; nurturing and developing the children in their care. iConnect is packed with features to make nursery practitioners lives easier. 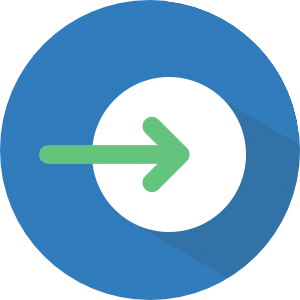 iConnect makes online learning journeys easy. 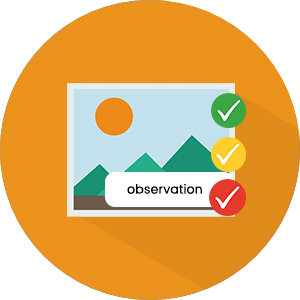 You can log observations immediately as they happen, complete with photo or video, without taking time away from your children. 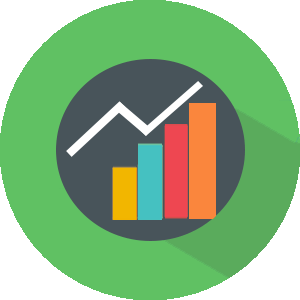 Your observations can be linked to a variety of curriculums at the touch of a button without the need for folders and paperwork. Daily activities like sleeps, meals and nappies can be logged quickly and even bulk uploaded for multiple children. You no longer need to thumb through folders of written observations in order to complete assessments. 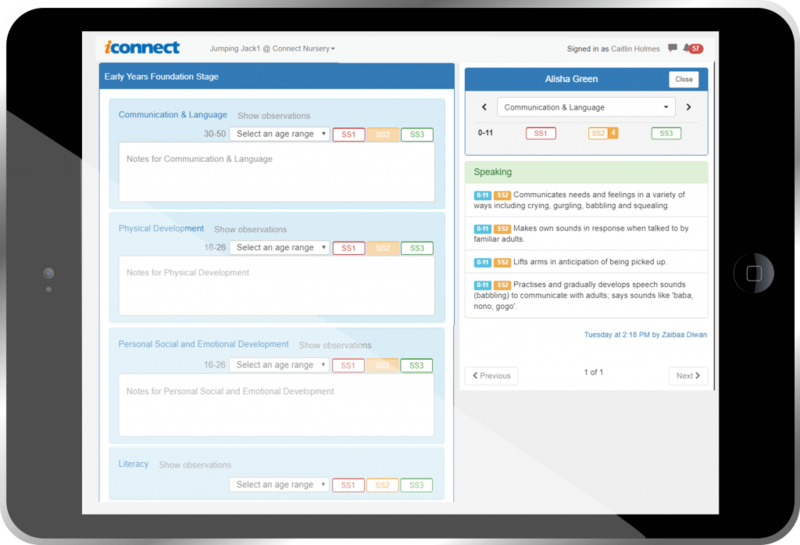 iConnect allows you to see all of a child’s observations in every aspect of learning to enable you to complete informed assessments on child development. iConnect links directly to ParentZone, the award winning parental communication app. Parents will recieve an online learning journal with details of all of their child’s acheivements as well as instant updates on their daily activities. ParentZone is already used by hundreds of thousands of UK parents. Record and analyse next steps for every child linking to observations and planning. Plan for children's next steps and Enahnced Provision using available resources. Observe and assess against different frameworks including: EYFS, COEL, SEND, ECAT and many more. View all of a child’s selected permissions and medical information quickly and easily on your tablets in your rooms. We used to spend about £400 every month just on ink cartridges. Most of this was used to print photos. Now that all of our photos are on iConnect & ParentZone our ink lasts four times as long. Our practitioners and management team can now see quickly and easily that children are progressing, which is essential for Ofsted. My job would be a lot harder without the use of iConnect and Parentzone in our nursery. Book your free demo to see how iConnect's online learning journals can revolutionise your setting.